Providing high quality, personalised dementia care and assisted living in Southbourne, Bournemouth. We also offer a great place to live even if you do not need any care but want the daily tasks of life taken care of and a social life. Residents who move into Sunrise thrive. At Sunrise of Southbourne, we offer first class care that is dedicated to enhancing the quality of life for all of our care home residents. Our team goes above and beyond to ensure that all residents’ individual needs and requests are met; whether that’s personalising the interior of your room or informing our staff about your favourite foods, preferences and tastes. Residents are free to plan their day how they want including wake-up time, daily activities, family and friend visits, meals and more. We believe in person-centred care which means you are in charge and we are here to support you achieve your daily goals.Thanks to our dedicated care home activities team, residents are guaranteed at least five or more activities per day, whether that’s art and keep fit classes, or trips and outings on our community minibus. Sunrise of Southbourne is located only 300 metres to the nearest shops and 200 flat metres to the seafront. Residents are welcome to join in on two daily escorted walks to the beach and we can take a wheelchair for those who cannot walk too far. Within Easy Reach Of Southbourne Hight Street, Christchurch & Boscombe Shopping Centres. All our rooms are en-suite and furnished to the highest standard.- These prices are only a guideline, Press The Make An Enquiry button to find out the exact price for your requirements. We have included level 1 care in all prices shown, we would complete an assessment prior to moving in and advise if a higher care level is needed and what that additional cost would be before any move-in is completed. We offer individual care plans so you only pay for the care you need. This means you will have an exact cost before you move in and do not have any unexpected surprises. 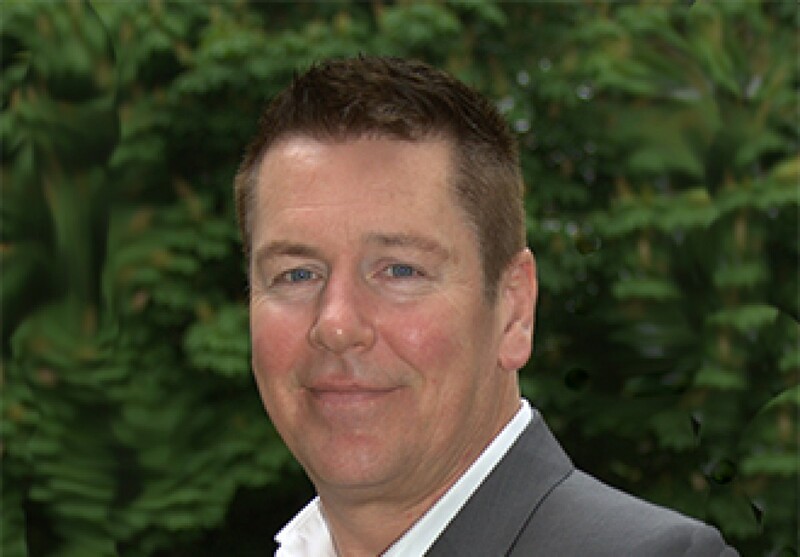 Please use the enquiry button and have a friendly chat with our expert, Ian Warren. We also encourage bringing your own favourite pieces of furniture, pictures, paintings etc. to make your suite familiar, full of memories and homely. We have a male and also a female companion suite available. When you walk through your shared front door there is a kitchenette, dining area and full en suite facilities that a share with another lady or gentleman. You will have your own private bedroom which is also lockable. The bedroom has a built in wardrobe and space for one or two armchairs, chests of drawers, bedside table. Even though your ensuite is shared with one other person, there are six toilets on every floor so you do not need to wait around for your ensuite to be vacant. A companion suite is great if you would like a neighbour, someone to say Good Morning or Good Night to. When our carers pop and see one of you, they also pop and see the other which works really well. If you would like a call bell to call for any assistance 24 hours a day we can provide this free of charge. There is so much more to show and tell, please call to make an appointment to discuss your individual needs, preferences, discuss finances and benefits. A visit to our home will equip you and your family with all the knowledge to make the right choices. Care costs are calculated on an individual basis so that you are only paying for the care you need. Please feel free to make an appointment and discuss costs further. Companion suits are great value for individuals or couples and are lower in price than you may think. Please get in touch to discuss your individual requirements and find our more. Price shown of GBP843.50 is including level 1 care, level 2 care is an additional GBP147 per week. There are different care levels, please call to discuss your requirements and arrange to visit our lovely home and also a better idea of costings. A large open-plan suite with a kitchenette, private ensuite wet room, bedroom area and lounge area. Perfect for a couple who wish to bring their own double bed or two singles (or profile singles provided by Sunrise). The price including level 1 care is GBP843.50 per person when sharing together. Higher care is available at a supplement. Please call or make an appointment with friendly professional, Ian Warren to discuss your requirements in more detail. A lovely First Floor London Suite with full ensuite facilities, with large window with views of the front gardens and the road and pavement beyond to see the comings and goings. This suite is T shaped and has an open-plan bedroom area and also a lounge area. One person may have this huge suite at a weekly cost of £1221.50 including level 1 care. The weekly price shown is based on a couple sharing this suite including level 1 care. .We would arrange an assessment prior to moving in to determine care needs and a care level and personal preferences and also if we need to put in place any equipment or aids to make life easier for you/your loved one. This suite is also ideal for a couple who may wish to bring their own double bed, or sleep separately in beds we can provide. For couples there are discounts and the weekly cost including level 1 care is £829.50 per person per week. This includes all dining, alcohol with meals, room service, access to 24 hour care, laundry, housekeeping, medication management and much more. Please call or pop in to view this accommodation and also to meet with our Director of Community Relations who can equip you and/or your family with all of the facts and cover your needs/preferences, finances, benefits and also different ways of funding care home fees. It is an hour well spent and you will leave more knowledgeable and reassured and hoe to avoid the pitfalls of choosing a care home. There are higher levels of care at higher costs, please get in touch to discuss further. State of the Art call system. A lovely Ground Floor London Suite with full ensuite facilities, patio doors leading out with views of the front gardens and the road and pavement beyond to see the comings and goings. This suite is L shaped and has an open-plan bedroom area and also a lounge area. One person may have this huge suite at a wekkly cost of £1249.50 including level 1 care. 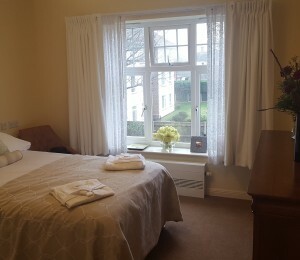 The weekly price shown is based on one person having level 2 care.This suite is also ideal for a couple who may wish to bring their own double bed, or sleep separately in beds we can provide. For couples there are discounts and the weekly cost including level 1 care is £843.50 per person per week. This includes all dining, alcohol with meals, room service, access to 24 hour care, laundry, housekeeping, medication management and more. Please call or pop in to view this accommodation and also to meet with an advisor who can equip you and/or your family with all of the facts and cover your needs/preferences, finances, benefits and also different ways of funding care home fees. It is an hour well spent. There are higher costs and care levels, so please get in touch and make an appointment to discuss your individual requirements and further discussion about costs and benefits. A beautiful one bedroomed apartment with kitchenette, fridge, dining area, separate lounge, separate bedroom, full ensuite wet room. This a the largest suite we have available and is a complete apartment within the home. Costs include all dining in the restaurant or room service, all laundry and ironing, medication management if preferred, over 45 activities each week to choose from, three minibus outings each week, 24 hour Bistro with snacks which is also complimentary to all family and friends that come and visit. There are carers here 24 hours a day and if needed we will provide pendants and sensors to support your safety and wellbeing. We have housekeepers who will come in and do a daily suite check and tidy up and once a week a deep clean of your accommodation. There is so much more to tell and see so please call to arrange for a tour and discuss things in more detail. A studio is your own private suite with kitchenette and fridge, private ensuite wet room and bedroom area with a large window with varying views of gardens. Most studios are between 28 and 30 sq. metres and are only suitable for one person. The weekly cost for one person including level 1 care is £948.50 per week. There are different levels of care which may be a higher cost, please call to have a friendly chat, better still arrange an appointment and get a real feel for our beautiful home and to give you more information. The weekly costs including all dining in the restaurant, room service, a 24 hour bistro, alcohol with meals, laundry and ironing, housekeepers, 24 hour access to carers and much more. Please get in touch to discuss your needs and preferences. Our Director of Community elations, Ian warren has a wealth of experience and will be able to advise on costs, benefits and different ways of funding care home fees especially useful meeting at a time of need. Each care home offers personalised care services based on individual need. These range from basic care and help with the tasks of everyday living to more intensive nursing care in those care homes that are registered to provide nursing. Every care home includes a Reminiscence neighbourhood, dedicated to the needs of residents living with Alzheimer’s or other forms of dementia. In every care home, at least five activities take place each day to ensure that residents have the option to enjoy a rich and stimulating social life. Home-cooked meals, prepared on-site by Sunrise’s own chefs are designed to offer balanced nutrition and meet special dietary needs where necessary.